If you’re considering purchasing Dianabol from France, don’t jump the gun: they have some pretty strict drugs laws, especially for steroid use. If you’re inside the country, the risk is the highest. But even online purchases aren’t something to take lightly. Regardless of these risks, many people decide to take the leap and give it a shot. If you’re leaning towards taking the risk, at least take a look at the ins and outs of France’s drug laws and legal alternatives. Although the country’s steroid laws are strict, you’ll find Dianabol from France listed by many online suppliers. If you find such suppliers, they often sell the same brands. Often, suppliers also sell Methandienone, which is the chemical name for general Dianabol. 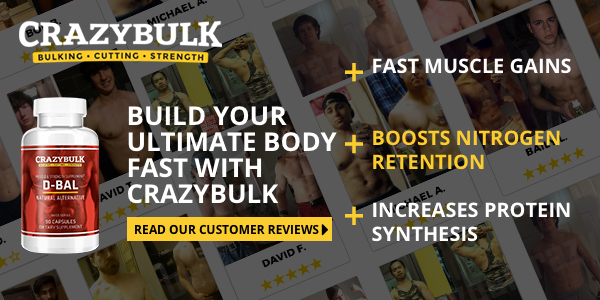 Best known for its ability to build muscle for bulking cycles, users of this particular steroid claim that they can gain as much as 20 pounds in just a few weeks. Its fast-acting nature means that results are often lightspeed. But without combining it with longer-acting steroids like testosterone, these results can be short-lived. Anabolic steroids, including Dianabol, are some of the most counterfeited drugs out there. Any products you come across online are likely low potency or fake. Even the trusted brands mentioned above are often used to grab customer attention and push fake products. France’s steroid laws also make it very risky to buy steroids, which makes the risk of purchasing online even scarier. France’s laws have evolved to create a fairly unfriendly landscape for steroid users. While they don’t have a class list like the United States, their laws do not distinguish between narcotics. Essentially, any illegal substance can be punished the same. So how is judgment determined? Typically, it’s in the hands of law enforcement, who are given the “right to judge according to the principle of opportunity.” In addition, this judgment is highly influenced by the substance in question and its treatment by the country. In France’s case, this is quite harsh. Back in 2008, the country passed a law that made the transportation, production, and possession of steroids illegal. Although it was intended to stop cyclists from enhancing performance with anabolics, its reach also affects athletes and bodybuilders. Possession or use of anabolics can lead to up to 5 years and prison, with a maximum fine of $119,000. Not only that, but laws are applicable to tourists and visitors as well. Given the tough laws, we recommend against purchasing Dianabol for sale for France. But some people do so anyway. If you are located outside of France, risks hinge on the laws of your country. Not only that, but counterfeit products can damage your body. Just bear in mind that formatting can be slightly different between boxes, which can cause some confusion. Ultimately, it’s hard to determine quality for certain when it comes to online products, but the tips above are the best you’re going to get in terms of quality control. If you want guaranteed quality, invest in natural, legal products instead. D-Bal is an example of a legal steroid alternative that increases your muscles’ capacity for retaining nitrogen. And more nitrogen means you can conduct an increased amount of protein synthesis. Remember: protein synthesis is needed for muscle growth during bulking cycles. Obviously, the results won’t be as drastic as synthetic products. However, they won’t harm your body and you don’t have to worry about fake products. No anabolic steroid supplier can offer these kinds of benefits because they are operating in the realm of illegal products. Here are some customer testimonials. If you’re considering purchasing Dianabol from France, be sure you know what you’re getting yourself into. Research potential suppliers and check bodybuilding forums for feedback from other bodybuilders that have used the same ones. But if you want a legal, natural alternative, try D-Bal. As always, adding a natural boost to your training regimen is the best way to get healthy, sustainable results.